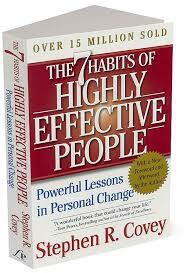 Today's review is on the book titled 'The 7 Habits of Highly Effective People' by Stephen R. Covey. I guess a lot of people must have read it because it's one of the most famous and popular book on personal development that I have ever come across. The book has sold more than 15 million copies since it's first publication in 1989, it focuses on building and developing good habits, it is filled with practical wisdom and principles for anyone seeking to change his or her life. I recommend it for those in the business world, corporate job, and life generally. In his words 'Being proactive means that as human beings, we are responsible for our own lives'. You have the ability to control your moods, feelings, and thoughts. He says, our behavior is a function of our decisions not our conditions and that we should all focus more on things we can control rather than on what we cannot because we have the initiative and responsibility to make things happen. Proactive people are values driven, they don't allow their environment to affect them. Whether it rains or shines, it makes no difference to them. They know what they want and they go for it irrespective of how it seems to be, they are in control of their emotions, thoughts, actions, decisions, and they don't worry when things don't go as expected. To begin with the end in mind means to start with the clear understanding of where you are going I.e your destination. You can do that by creating a image or picture of what the end of your goal or task will look like. This has been like a source of motivation for me because picturing the end from the beginning helps me stay really focused and effective on what I do. For example, how about visualizing your 50th birthday celebration, involving all that you have achieved and accomplished so far? How do you want it to look like? Create a mental picture of the future you want to see. This is the habit of time and life management. All things you do in life are either regarded as urgent and important or not urgent and not important. Therefore you should do things on a regular basis that will make a tremendous positive impact on your life. You should not spend time doing unimportant tasks but rather set priorities to become more successful or productive in life. Win-Win is a frame of mind and heart that seeks mutual benefit in all human interactions. It's not selfish and it's not just about following principles but about a better and a higher way of doing things. It involves mutual learning, mutual influence, mutual benefits. Stephen Covey said it's a fundamental way to success in all of our interactions. He also said, other people should not be taken as competitors but as cooperatives, and that one person success should not be achieved at the expense of the success of other people. This habit shows us a better way to communicate with people around us. Stephen Covey says, communication is the most important skill in life and that if you so desire to influence or effectively interact with people, you need to first listen and understand what the other person is saying. It reminds us on how important it is to improve our listening skills. For example, a good lawyer needs to first gather all the facts to understand the situation. 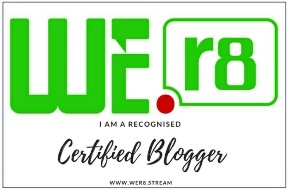 Synergy means the whole is greater than the sum of its parts and to synergize means bringing together the whole rather than some of its part. Here its all about making improvements and bringing in something productive with the cooperation of others. And to be fully effective we must value the physical differences between people to create opportunities for each other. This habit encourages everyone to take some time off to sharpen themselves and improve on their skills. The greatest asset you have is you and the best investment you can ever make is on you. If you don't take good proper care of yourself, your personal productivity will decrease. The author says you can sharpen your saw physically by exercising, or spiritually by meditating, or through mental development (reading books, attending seminars, lectures, workshops), and also in a social or emotional way.